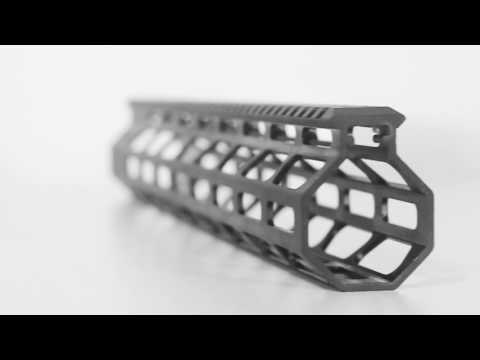 These lightweight AR-15 handguards run from basic aluminum, to fancy carbon fiber, and include many different ways of attaching sights and accessories to the handguard (we’ll explain those at the end). However, because of fierce competition, finding the lightest AR 15 handguard can be a chore. Everything from cheap airsoft grade parts to high end precision made handguards flood the market, and it can be a real chore to figure out what is best for you. Fortunately, somebody just made a fresh pot of coffee, so I’ve got the energy to do the work for you. All of the products can be purchased from an online retailer like Brownells. So, without further ado . . .
A marvelous, slim profile, lightweight AR-15 handguard, the FM-9 has just about everything you could want out of a free floating handguard. Made of lightweight aluminum, with aggressive and stylish lightening cuts, fitted with a mil-spec Picatinny rail on top, and compatible with the extremely popular M-Lok accessory mounting platform, this is one nice handguard. As a bonus, it’s also extremely affordable. Many handguards are expensive, sometimes costing nearly as much as a basic rifle, and with today’s modern CNC machining, there is no reason to pay $3-400 for a boutique handguard. Unless you need to extend over a suppressor, you’ll find the FM-9 might just be your new best friend. Check out the Foxtrot Mike Products Ultra Light M-Lok Handguards! Weighing in at just five ounces, this is one of the lightest AR-15 handguards on the market today. Designed to be a drop in replacement for standard A2 style handguards, this super slim unit features standard KeyMod attachment points on the sides, while the top and bottom slots fit most Magpul MOE accessories. 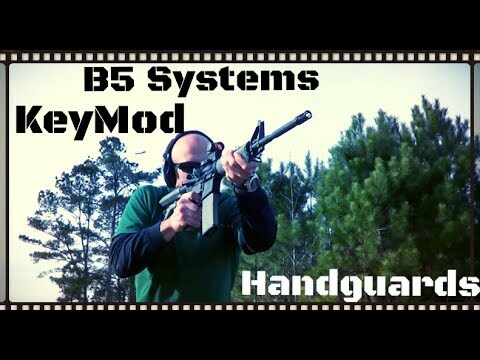 Truly a highly adaptable handguard, and an ideal upgrade. This model is designed for midlength gas systems, and will not fit carbine or rifle length gas systems. Quite frankly, I’m rather fond of this unit, as it is probably the quickest and lightest way to take a bone stock upper and convert it into something a bit more modern. And as an added bonus, it requires no special tools or gunsmithing and preserves your A2 front sight tower. 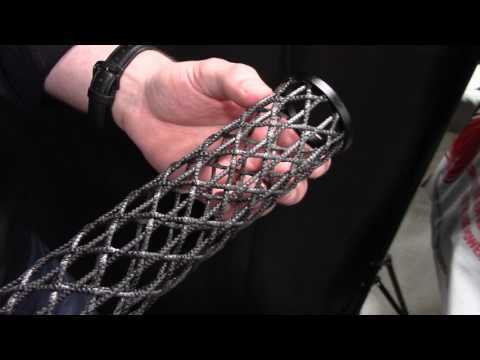 Now this is a crazy exciting handguard. 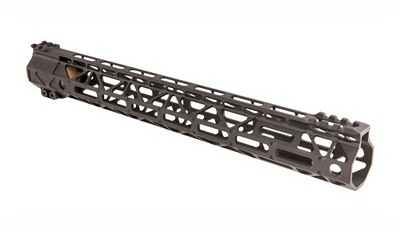 Available in varying lengths suitable for carbine to rifle length gas systems, this ultra-lightweight AR-15 handguard is made of durable carbon fiber, and designed with an aggressive design that looks good and reduces weigh without sacrificing strength. As an added bonus, it is easy to use Brigand Arms’ unique rail mounting system to install a section of Picatinny rail exactly where you need it. Let’s face it, AR-15’s are so standardized, as to be boring, but a carbon fiber handguard can turn a cookie cutter dull rifle into something unique and exciting- to say nothing of light and easy handling. This is among the best and lightest ar 15 handguard for the money. One thing I don’t like about most lightweight AR-15 handguards is that they still have a full length top rail. Now, let’s be real, when was the last time you used any of that real estate outside of mounting iron sights? That’s the great thing about Battle Arms’ M-Lok handguard—there is just enough rail to install sights and nothing more. 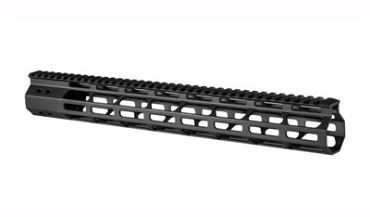 Fortunately, they built this wicked cool handguard with M-Lok compatible slots everywhere, so if you do need that missing rail, you can quickly install enough rail section do what you need done, and call it good. This may be one of the most customizable handguards on the market, and it’s really quite nicely done. 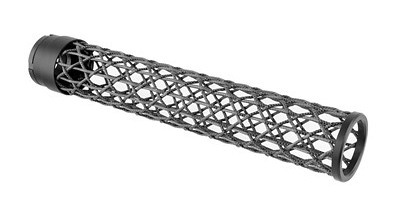 If you want something different and practical at the same time, this is the handguard for you. While we all know (or should!) know what a Picatinny rail is, what about some of these other terms? KeyMod? M-Lok? MOE? These are all different standards for attaching accessories and removable rail sections to firearm handguards, and they all have their pros and cons. KeyMod is one of the most common attachment systems, simply because it is released as an open standard. Anyone can download the complete specs and use them, no licensing required. While this is great, it has also lead to a plethora of cheap knock offs that skip important machining steps in the interest of cost savings. While this may not matter to most users, it can matter to people who use their rifles for more than range toys. A reputable KeyMod handguard is a great thing, and has a lot to be said for it. Magpul offers two different standards. The MOE (Magpul Original Equipment) is being phased out, but still has a robust installed user base. An improved version, M-Lok is freely available to anyone who requests a license, and may overtake KeyMod due to easier machining, greater strength, and stability with polymer accessories, and enforced standards. Choosing a lightweight AR handguard is mostly a question of budget and aesthetic choices. Unless you are counting every ounce, most any handguard will work. 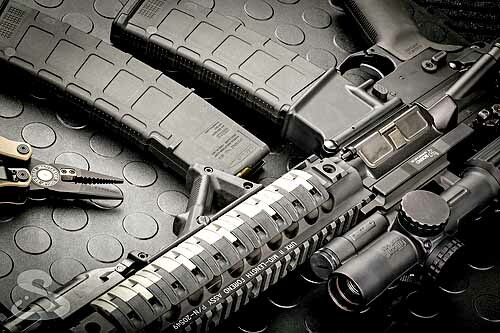 For me, aesthetic considerations are the most important choice in selecting a modern, lightweight AR-15 handguard. I’m not interested in a bland off the shelf rifle; I want something that stands out and shows some care was put into designing the rifle. Although close on the heels of aesthetics is the type of accessory mounting platform you have to work with. If you don’t plan to do anything other than install irons, this isn’t much of an issue. Making the choice between M-Lok and KeyMod isn’t quite as controversial as, say, VHS vs Betamax, but it is an important consideration. If you are invested in one platform already, you may wish to continue that route; otherwise, M-Lok has an edge when it comes to price and installing polymer accessories. Regardless of looks and mounting choices, you’ll find the best lightweight AR-15 handguard is the one that makes you smile whenever you look at your rifle. Good luck!